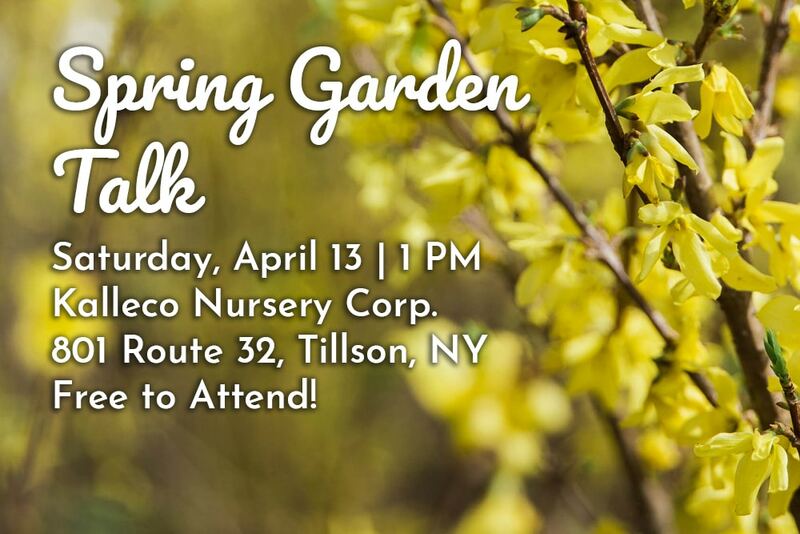 Events - Kalleco Nursery Corp.
Saturday, 4/13 | 1 PM | Free to Attend! You’re invited to an afternoon of down-to-earth garden talk with our nursery manager, Kristina. She’ll be going over the ins and outs of caring for your garden during this pivotal season. Get industry-insider know-how on pruning. Learn about plant nutrition and what kinds of fertilizers are best for your recently-reawakened plants. Get some insight on planting and planning ahead to make the best use of your space and garden all season long. It’s free to attend, so bring a friend and join us! Keep up with us right in your feed or your inbox!